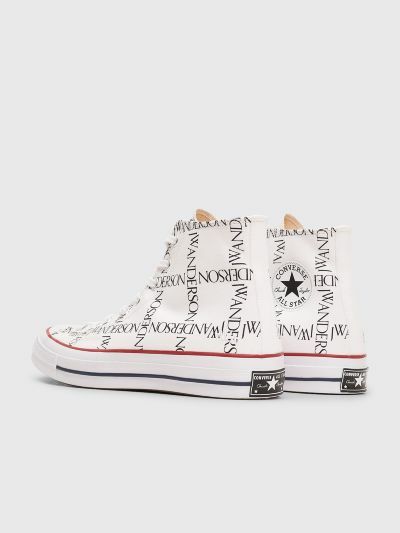 Sneakers from Converse made in collaboration with JW Anderson. 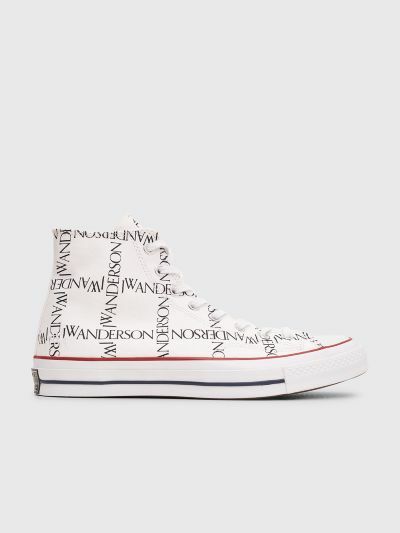 High top canvas upper with contrasting logo grid print. 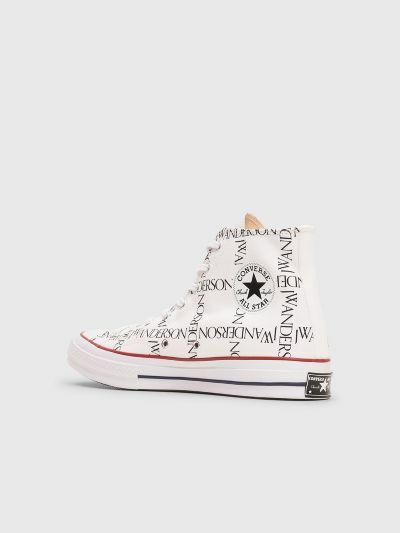 JW Anderson logo embroidery on the lateral side and a Converse rubber logo on the medial side. 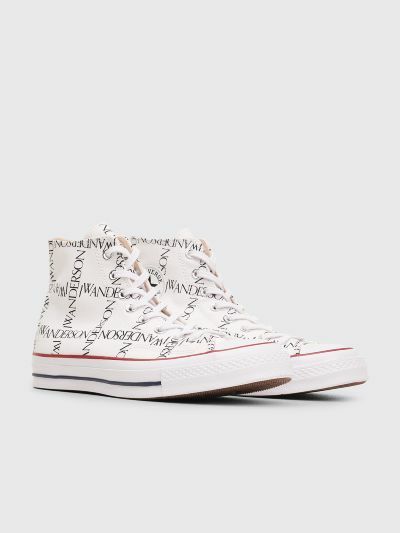 Flat laces through metal eyelets. 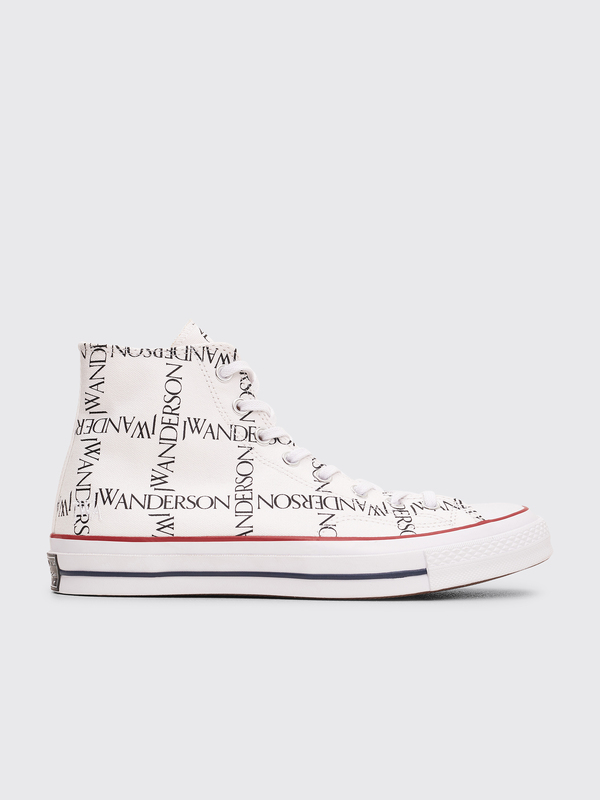 Comes with extra pair of laces in black. 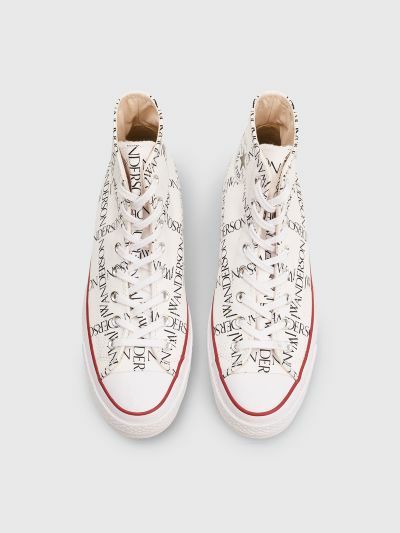 White, black and red sneakers. Textile upper, lining and insole. Rubber outsole. Metal hardware.